Your Pontiac may have been designed to withstand impact during an accident and keep you and your family safe, but depending on the type of collision and the severity of impact, there could be significant damage to your frame and paint. To get your Pontiac back to its original condition, trust the experienced and trained auto body technicians at Montclair Auto Body. We have been serving the Ontario area for many years, and there's a good reason our customers come back to us time and time again. With decades of combined auto body and collision repair experience, there isn't a problem we haven't encountered. We can perform everything from minor auto body work, such as dent removal, to major collision repair, such as unibody repair, and we know Pontiac vehicles inside and out. For Pontiac Auto Body Repair in Ontario, We've Got You Covered! Enjoy the peace of mind that comes from knowing you've taken your Pontiac to an auto body shop that has a proven track record of working on vehicles just like yours. 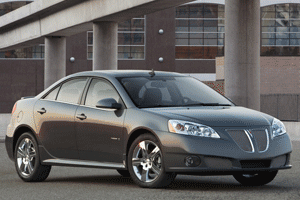 Visit our shop located in Ontario, contact us online, or give us a call to schedule an appointment for your Pontiac.